Department store chain Fenwick has announced plans to expand into new stores as the firm looks to take advantage of rising consumer spending power. Latest accounts for the Newcastle-headquartered firm show turnover grew by £6m to £295.8m for the 53 weeks to January 31 2014, a rise of 2.1% on the previous 52-week period. Gross profit also increased by 1.6% to £132.9m, while pre-tax profit figures showed a slight fall from £36.2m to £35m, a drop of 3.2%. A report accompanying the firm’s annual financial performance notes a continuingly challenging trading time in 2013, despite the first shoots of recovery in the economy revealing themselves in 2013. The firm said: “Whilst 2013 saw the first signs of a recovery on the UK economy, a continuing squeeze on disposable income ensured a challenging environment for consumers. A mild autumn reduced demand for fashion and a late Christmas resulted in higher levels of promotional activity across the retail sector. The firm, which employed an average 2,285 people last year, said gross sales increase by 2.1% to £433m, and that its own bought merchandise achieved a greater increase, a trend that has continued in 2014. Fenwick, first opened in Newcastle by John James Fenwick in the 1880s, has grown to include nine other stores. As well as its Newcastle store, Fenwick now has operations in London’s Bond Street, Brent Cross, Leicester, York, Canterbury, Tunbridge Wells and Windsor, as well as Bentalls stores in Kingston and Bracknell. During the accounts period the chain said it continued its policy of reinvesting in its trading assets, including the launch of a major refurbishment programme at its Brent Cross store. Those plans include forming part of regeneration plans in a Berkshire town. The Bracknell Regeneration Partnership (BRP) and Bracknell Forest Council have announced that they have secured a pre-letting to the company for a new 80,000sqft three-floor store. Fenwick is relocating and rebranding from its existing Bentalls store, which will continue to trade until the new shop is open. Construction is due to start next summer 2015, with a planned opening in autumn 2017. Meanwhile, the company is also working on a transactional website, coming in line with other department giants including John Lewis, Marks and Spencer and Debenhams, which operate click-and-collect services as well as an online ordering offering. 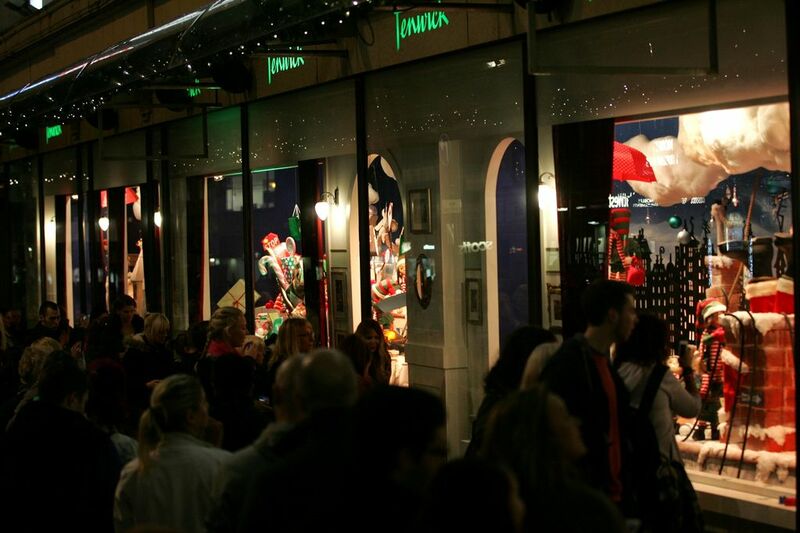 The Newcastle department store will reveal the contents of its festive window display this week.